End of the Trail has allowed Runners to change events online through their runsignup account up until January 31, 2020. To do this login to your runsignup account (link below). You will login and click "Manage Races". We will allow you to retain any early registration pricing as well as for the transfer. You will, however, pay the difference if you are upgrading from the 10K to the Half Marathon. We do our best to accommodate a situation that arises. We are more than happy to allow you to transfer your Bib to another Runner or Defer your registration until next year, just as long as it is before February 1, 2020. In the "Help" section are tutorials on making these sort of changes. 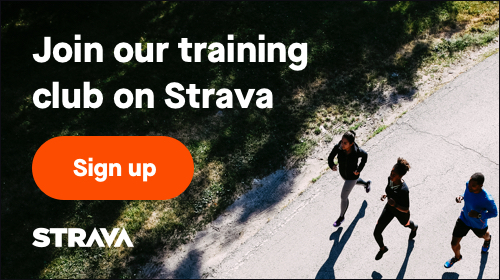 You can make these changes inside your Runsignup account before February 1, 2019. After this date you must contact the race. We have several areas you can park during the event. We would always recommend the Parking Structure Off of Bridge street North of Acequia. There is stairs on the North side that lead you into the EXPO. We also have parking downtown along Center street North of Main street. There will be a bag drop in the courtyard at the starting line next to the corral on the south side of the road. Please use your Michelob Ultra Goody Bag to place any items inside that we will store for you during the race. We will mark your bag legibly with your first name, last name, and most importantly, bib number. Your bag can be retrieved at the finish line area. The Visalia Runners and The End of the Trail Half Marathon and 10K are not responsible for damaged, lost or stolen items at the bag drop. Please bring your ID with you for a complimentary beer tasting in the EXPO by Michelob Ultra, our event sponsor. They will be pouring their low calorie Michelob Ultra Beer. The Visalia Runners Tent will have merchandise for sale including the 2018 knee high compressions socks, 2017/2018 Beanies and Shirts, 2019 Shirts/Backpacks/Ogio Beanies, and 2020 Swag. There will also be merchandise for sale in the EXPO by our vendors. We will be able to accept credit cards or cash.